If you wish you to get into the teaching profession or have the passion to work in Research & Development organizations, you must do a PhD after M.Tech in the area of your interest. Now that you have decided to pursue PhD after M.Tech, your objective should be clear on teaching or research as your career option. In order to promote higher education in India, Government of India has granted R&D organizations and Central Universities like IITs and NITs. The job role in teaching profession is not doubt lucrative but also challenging at the same time. Depending upon the area of your interest and passion, you must choose your career after M.Tech. Seeing the trend, you may get the same job profile after M.Tech as you have got after B.Tech. However, the job role and position will come up with more responsibilities and the salary package will also be comparatively higher. Moreover, since you will have better grasp over the technical things and clearer thought process for the assigned tasks, you will be able to complete all the tasks in a productive way. 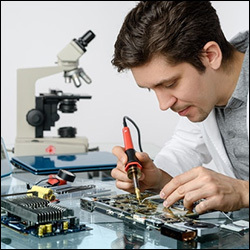 After M.Tech, you can easily find job in research and development organizations, manufacturing firms and IT companies as Project Manager, Research Associate and Senior Engineers. Generally, most of the students after completing their M.Tech go for academic jobs. Today, the educational sector in India for higher studies is growing rapidly, which has created demand for teachers and professors at deemed universities, educational institutes and colleges. In order to join the teaching profession after M.Tech, students must keep in mind the importance of communication and presentation skills. These skills are crucial for becoming a teacher. Moreover, you must have the passion for teaching and should be patient and calm enough to deal with students. In addition, you need to build the habit of reading books and journals to keep abreast with prevailing trends in the respective subject. Want to become an entrepreneur after doing M.Tech? That’s great! A very few M.Tech graduates aspire to start their own organization. However, the good news is you will have enough support in terms of funding and investments from venture capitalists on the basis of M.Tech Degree. If you have the passion to work with dedication and have the instinct of a fearless person along-with the right business sense, you will are bound to become a successful entrepreneur. Good Luck! A PhD holder is always valued and respected. And, if you have thought to pursue doctoral study after M.Tech, it will work wonders for you provided you work with passion and dedication. The area of specialization in M.Tech will eventually decide the area of your study in PhD. For instance, if you have done your M.Tech in Mechanical Engineering, your area of specialization in PhD will be related to Mechanical Engineering. Nevertheless, the actual area of research will be finally decided by the respective department of the institute committee depending upon the knowledge base and aptitude of the students. Now-a-days, inter-disciplinary approach in PhD is gaining popularity. It means that candidates can opt for two PhD specializations, where more than one expert will be needed for guidance. Reputed engineering institutes like NITs, IITs and IISC Bangalore have separate funding policies for PhD students. The fellowships range between Rs.19,000 to Rs. 24,000 per month. Usually, the time duration for this would 3 years, which is extendable as per the requirements. Department of Information Technology, Department of Science and Technology, UGC, AICTE and CSIR offer Scholarships to PhD students. There are separate scholarship schemes for women scientists as well. Other than the aforementioned government institutions, private companies such as Shell and Microsoft also provide scholarship to PhD students specializing in industry related problems. In addition, many private companies also invest and contribute for the enhancement of Research and Development activities in the country. The experts must be chosen as per the area of specialization in PhD. Otherwise, there will be a disconnection between the PhD Student and the respective guide. There is a bright prospect for students who want to pursue their PhD in abroad. Universities such as Stanford, Pittsburg, Berkeley and Wisconsin are of high repute, which are fully equipped with all the modern facilities required to complete your PhD in a hassle-free way. In order to pursue PhD in abroad, students have to take TOEFL and GRE examinations. On the basis of scores you get you get in these exams, you will admission to prestigious international colleges. Germany and Australia are also considered among the preferred destinations to pursue PhD programmes. The tuition fee for pursuing PhD from European countries is minimal; however, the cost of living can fall on the higher side. It’s good that you are planning to pursue your PhD from international universities. However, be careful while choosing the institution and double check its credibility and accreditation. Like AICTE in India, the accreditation process in USA is maintained by ABET. Therefore, students must check the ABET accreditation rating of the respective university and then a decision accordingly.